On Thursday, October 20th A Tie That Binds, the 501(c)(3) nonprofit organization I founded to honor my Mom’s battle with breast cancer celebrated our fourth official National Pink Tie Day. #NationalPinkTieDay is one day a year we ask men to make a bold statement of support by wearing a pink necktie or pink bow tie in honor of women in their life who have been touched by breast cancer. THANK YOU for your notes of encouragement, your donations, your pictures, your tweets and your prayers! Mom and I had the opportunity to spend the entire morning, noon, night, even past midnight together. The following is a snapshot of how we spent our time sharing with others how breast cancer changed our family for the better! 9:11 AM: Arrived at WBTV Channel 3. My youngest brother, Scott joined us at the station. 10:00 AM: After several pictures, and a stop to say hello to WBTV’s Alexis Mitchell Scott, Mom and I headed out for brunch with the one and only Ditra Miller! Ditra is the owner and founder of Ditra Creative Media a creative communications agency centered around creating public relations and marketing strategies that increase the visibility of both corporate and personal brands. The interviews with WFMY and WBTV were all orchestrated by Ditra’s skills, talent, and network. She knows what she is doing and makes it happen – we highly recommend her to your brand! Thank You Ditra! 1:35 PM – 4:00 PM: Phone calls, emails, social and digital media correspondence and a 20-minute nap. 5:30 PM – 11:25 PM – A big thank you goes out to my father-in-law, James Whitley, as he arranged for Mom and I to have the “VIP” treatment at the 2016 North Carolina Music Hall Of Fame Induction Ceremony held in Kannapolis, NC. We attended the VIP Cocktail Reception, were then shuttled to the 3+ hour Induction Ceremony where we were treated to live performances by The Avett Brothers, Band of Oz, Chairman of the Board, David Holt and The Carolina Chocolate Drops (Rhiannon Giddens, and Justin Robinson). Hearing from so many of you this past month has been an incredible blessing! Your encouragement has inspired not only me, our board, but so many who need to know and hear they are not alone! 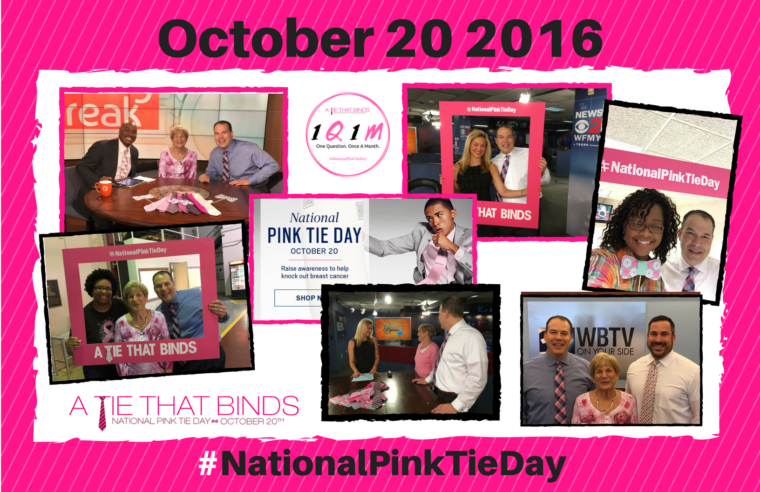 Consider making a tax-deductible donation in support of A Tie That Binds and National Pink Tie Day. You may make a secure online donation through PayPal, with or without a PayPal account, by clicking here – Donate Now. Please share your first name and email address below to begin receiving our weekly content. The 26.2 Group formed in 2008 to provide coaching, training, and motivational speaking to people about personal and professional growth, social marketing strategies, and client engagement. For the previous twenty years, I’d served in various executive leadership positions including a Fortune 500 company, mega-church, large nonprofit organization, and several small entrepreneurial companies. I hold a Masters from Southwestern Baptist Theological Seminary and BA from the University of North Carolina at Charlotte. My current service positions include the Susan G. Komen NC Triad Board of Directors, University of North Carolina at Charlotte Alumni Association Board of Directors, and the Online Brand Camp leadership team. I teach part-time at the Guilford Technical Community College Small Business Center. I’m also a son, brother, husband, dad, coach, and storyteller. I created A Tie that Binds Foundation and National Pink Tie Day in 2013 with colleagues to provide resources, support, and hope for men who face breast cancer alongside the women they love. Learn more about breast cancer awareness resources and education organizations at www.atiethatbinds.com. I help individuals and organizations connect their expertise, passion, and personal network of relationships find their dream career, increase sales leads, and close more business. I achieve this by providing one-on-one coaching, speaking, and training engagements, as well as online courses and webinars. Mitch is a career coach, LinkedIn strategist, and leader in the areas career transition, human relations, and people development. He helps individuals and organizations connect their expertise, passion, and personal network of relationships to increase leads, close more business or career. I achieve this by providing one-on-one coaching, speaking, and training engagements, as well as online courses and webinars. Mitch has spent the past 20 years serving in various executive leadership roles. He is a requested speaker, strategist, and leader in the areas of career coaching, LinkedIn strategy, and people development. 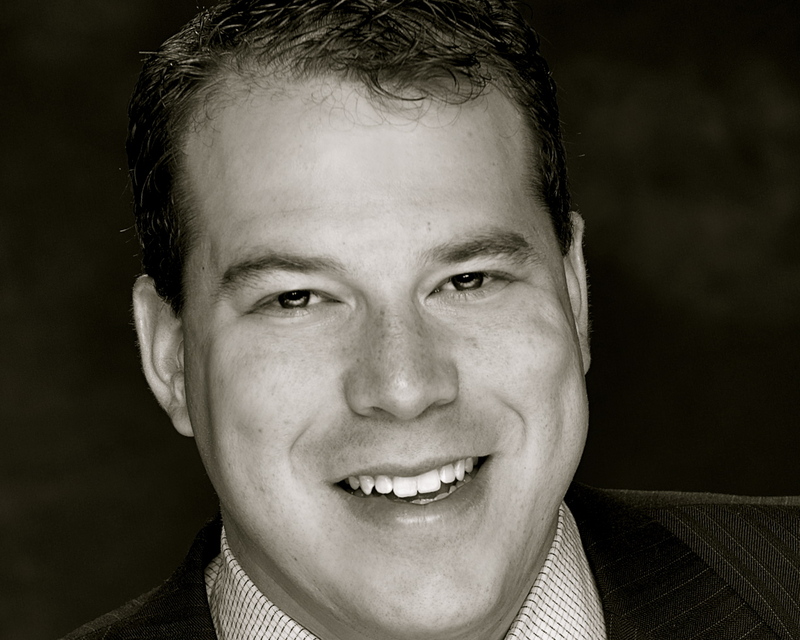 Mitch brings diverse experience and expertise to any project, engagement, and/or partnership. Among clients, colleagues, and those in the community, he is considered a powerful communicator, strategic connector and results-driven leader with a creative heart and mind. When not speaking, or consulting he is a husband, Dad and a passionate dreamer of the day without Breast Cancer. “I have known Mitch for 20 years. He is our "go-to" resource for social media and online networking. Mitch has a thirst for learning and is well versed in the best practices of social media. He knows exactly how to generate buzz, brand awareness, and customer engagement for businesses using online tools such as LinkedIn, Twitter, Facebook, YouTube, etc. I do not give out recommendations often, but Mitch is absolutely worthy of my highest professional praise! He also happens to play a mean game of tennis." “Mitch delivered an insightful lecture to students, faculty, and staff at Guilford Technical Community College about social media and professional branding. The presentation was creative, hands-on, and engaging for our students." ©2019 Mitch Miles & The 26.2 Group.